The best way to read Shakespeare's plays is out loud and with friends! The Nashville Shakespeare Festival invites you to read every play Shakespeare wrote, out loud in a reading circle. Once a month, we will gather to read one of the works of William Shakespeare, beginning with the first play he wrote and ending with his last. No need to commit to the whole canon, but if you’ve ever wanted to say “Yeah, I’ve read all of Shakespeare’s plays," this is the perfect opportunity to achieve that lofty goal! Readings will always be free and open to the public. Hearing these plays read aloud will give you more insight into the depth of Shakespeare’s works. We welcome all voices, all dialects! This is intended to be a fun time, so bring your sense of humor. Want to read ALL the plays in HALF the time?? 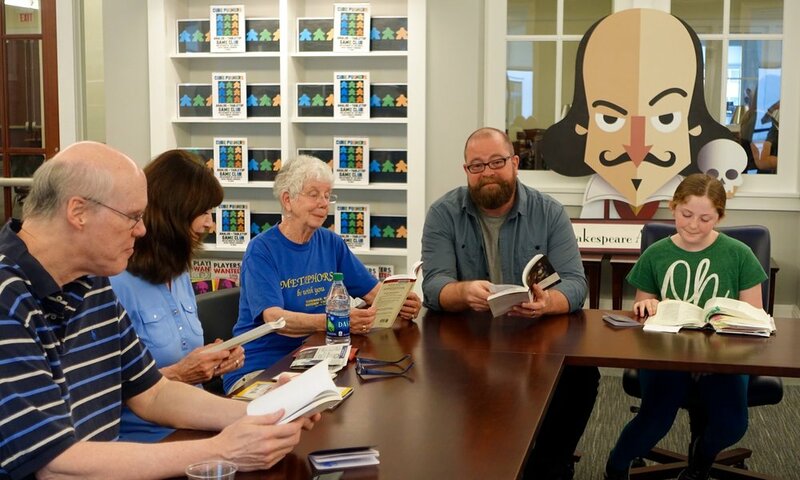 Head on down to Rutherford County on the 3rd Saturday of every month where The Rutherford County Shakespeare Society is hosting their own Shakespeare Allowed starting in the middle of the canon with As You Like It! Starting July 21st at noon at the Linebaugh Library.